New Delhi: Aakash Institute, the country’s leading medical and engineering entrance examination coaching institute is all set to push its boundary of excellence by making entry into healthcare genre with the launch of its super specialty hospital ‘Aakash Healthcare’. The institute’s aims replicate its values in healthcare too by providing world-class quality of clinical services and medical care. 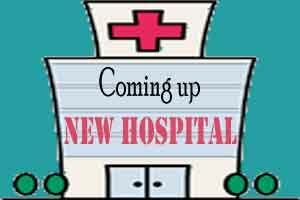 The flagship hospital is located in Dwarka, Sector 3 and scheduled to ‘Go-live’ soon. In the healthcare ecosystem of NCR, the brand would pitch hard for being the mark of excellence. An industry leader in preparing candidates for various entrance exams, Aakash Institute has 161 classroom centers all over India; 97 corporate branches and 64 franchise centers. The hospital, comprising 230 beds in total, is deployed with the latest state-of-the-art technology, competent clinicians and compassionate staff, and will soon be ready to provide world class treatment in various sections of medical science. “We started with a small clinic in 2011 and within five years, the clinic flourished and became the favourite healthcare brand for residents of Dwarka and surrounding areas. More than 40,000 people have already been benefited through our clinical services. The new hospital will be our next big step in the healthcare segment. Serving into educational sector for so long, we have decided to move to a new field and healthcare is the natural corollary,” said J. C. Chaudhry, Chairman and Managing Director, Aakash Educational Services Pvt. Ltd. The coaching giant has ambitious healthcare expansion plan up its sleeve too. In the coming five years, the brand intends to establish four to five small and medium sized hospitals in neighbouring cities. Dr. Aashish Chaudhry, the scion of brand Aakash, being an Orthopedic doctor himself, will enable the Department of Orthopedics and Joint Replacement to be the prime focus of this hospital. It is also looking to develop Cardiology and Cardiac Sciences, Mother and Child, and Nephrology as the other key specialties.